real screws throughout. 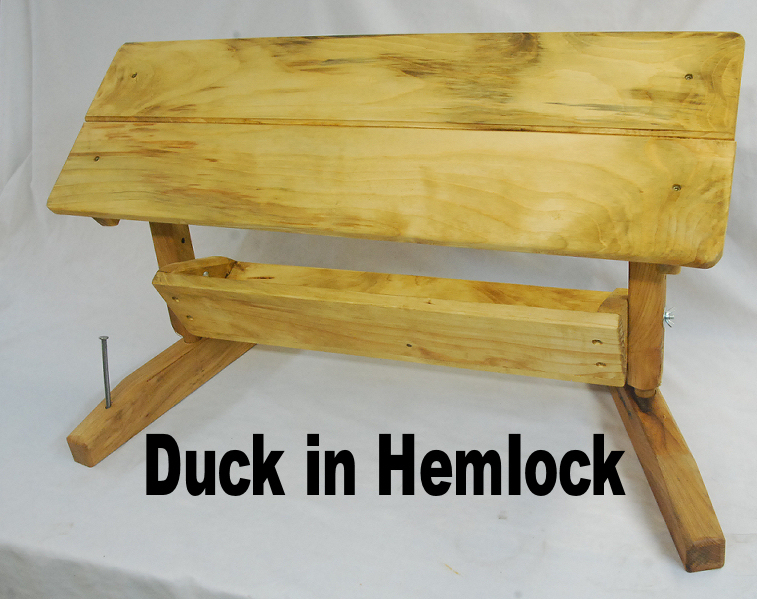 We then protect each feeder with a beautiful penetrating oil finish so they last for many years. We take pride in our service, too. From the moment you first interact with us, whether on our website or on the phone, to the delivery of your feeders and gifts and everything in between. feeding station for you and your family, choose Hurley-Byrd and see the difference our feeders really make. 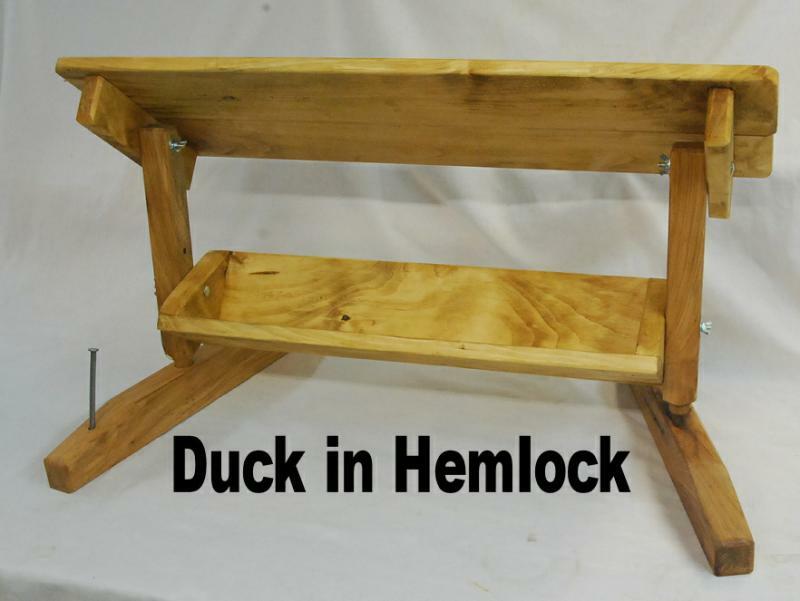 A covered ground feeder for ducks, geese, birds, small mammals, cats, dogs, etc,.. 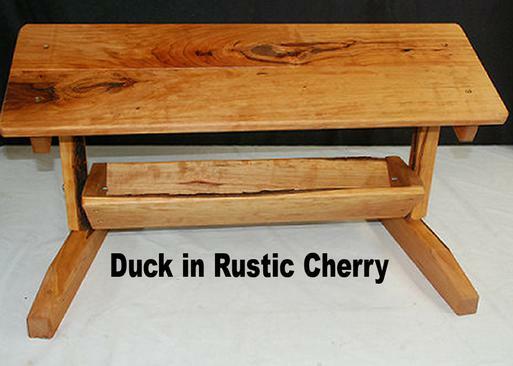 The Duck is easily adapted for waterfowl, game and ground feeding birds, squirrels and other wildlife. Adjustable (tilting) roof and trough can be set at any angle for easier feeding or better weather protection. 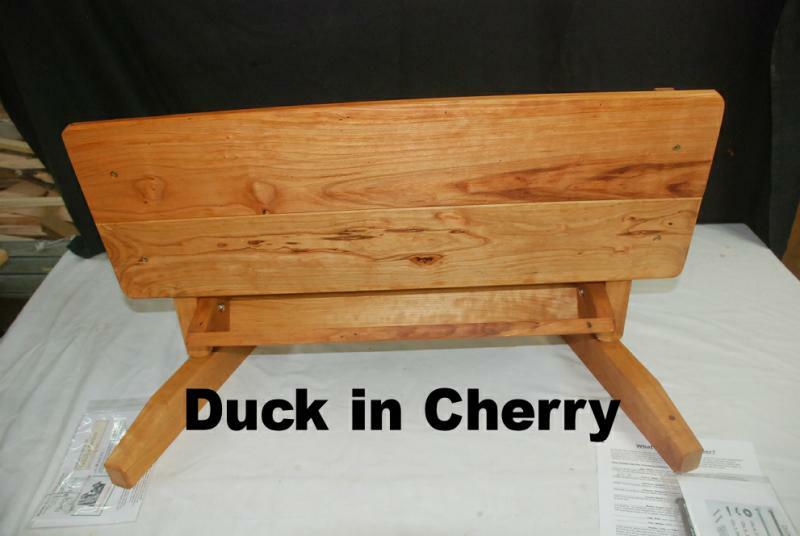 The mini trough is 24" in length, has predrilled water drain holes and holds 4 1/2 pounds of corn or seed. its contents from driving rains and provide a wind break for your wildlife. A landscape spike is provided to anchor this feeder in place, even in the most inclement weather. 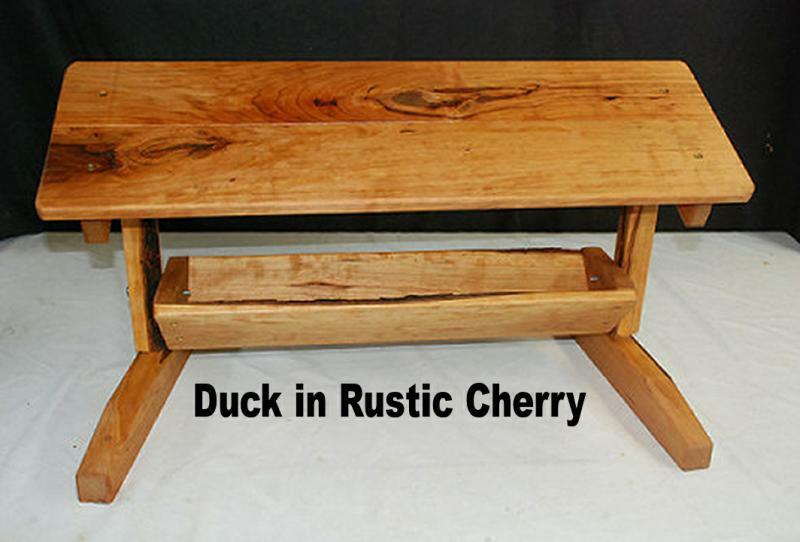 Overall dimensions: 32" in length, 10 3/4" in width and stands nearly 15" tall. 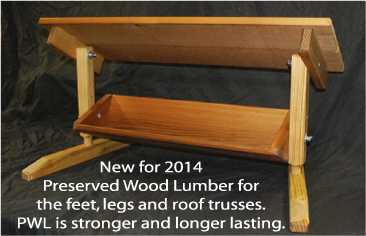 begin crafting this customer favorite using our new Appalachian Mixed Lumbers from our Forest 2 Finish 2 You Program. stretched its feet a tad for a sturdier stance and shortened the roof to trough height for better feed protection. 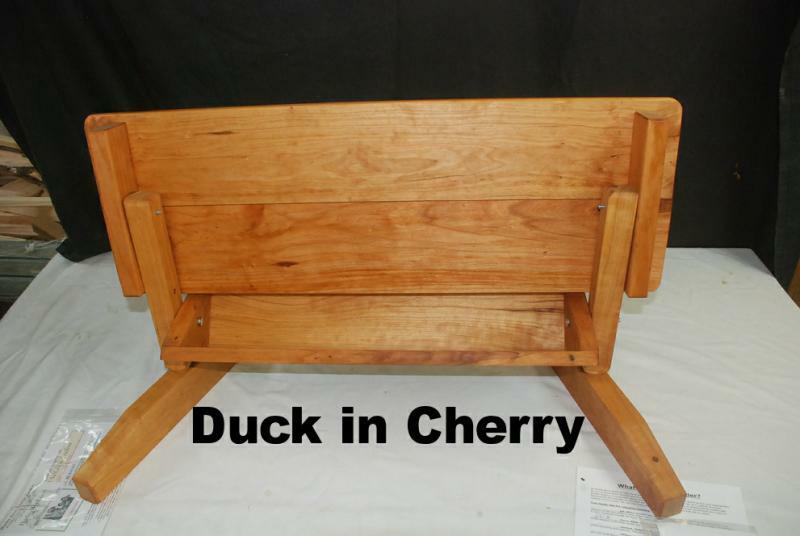 The Duck is now ready for another 10 years for all your birds, mammals and even cats and dogs. Assembly is very simple and only requires an electric screw gun for attaching the feet. on each end of the roof or trough, tilt to the desired position and retighten the wingnuts. No tools required. Use this feature to configure the feeder as shown below to direct your wildlife to the front for better viewing. 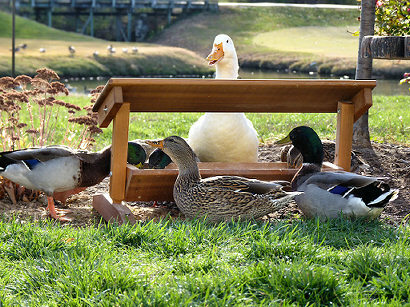 Unlike regular ground feeders which obscure your view, The Duck offers YOU better control of your wildlife. Is The Duck Easy to Assemble? Yes. 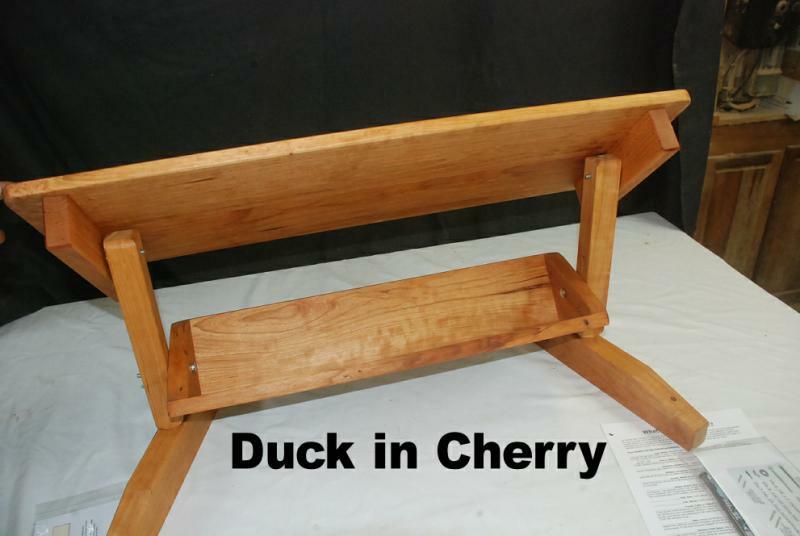 The Duck comes to you in 6 pieces, two feet, two legs, one roof assembly and one trough assembly. upright legs using carriage bolts and wingnuts. It's very simple and comes with complete instructions. 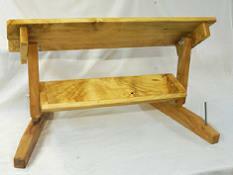 Roof: Two boards with tongue and groove joint producing as 32" x 11"
Trough: 24" x 5" x 4" Holds a gallon+- of seed. Has positive water drainage. Feet: 18" in length, 2 1/2" in height and 1 1/2" in thickness. Overall Weight: 15 to 20 pounds. 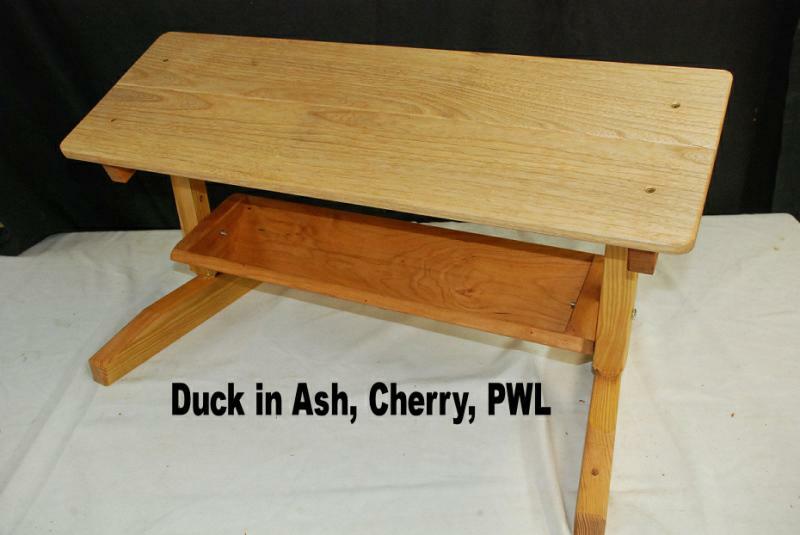 Lumbers Used: We will be crafting a LOT of The Duck and be doing so in all sorts of lumbers. In the drop down below, you will see various lumber types. They correspond to the example photos in the gallery above. your own feeder crafted in that/those lumbers. OR....... let us pick. They are all gorgeous. 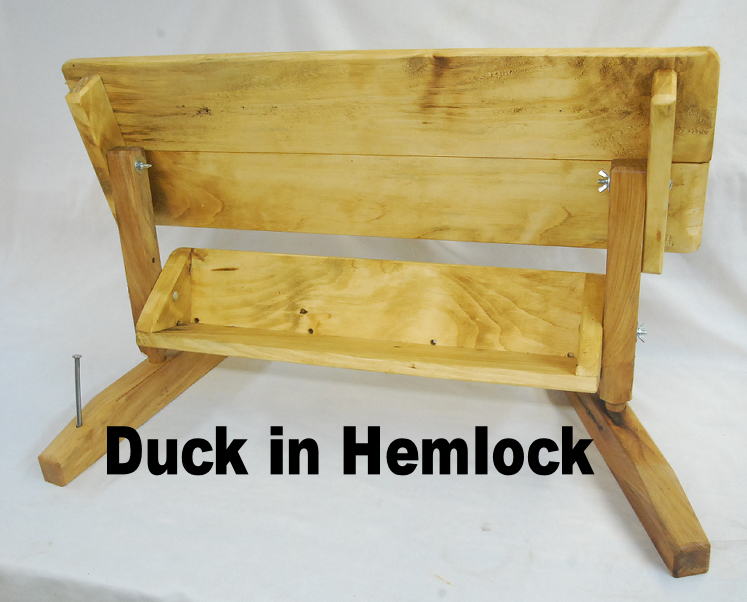 We can package up to 3 Ducks into 1 box for combined shipping. If you need them for gift giving. Write or call toll free: 877-363-0199. The trough and roof tilted rearward to direct critters to the front side. Or placed to ward off driving rains/snows. Finally..... a feeder that lets you control the wild. Now Crafted in Mixed Hardwoods. 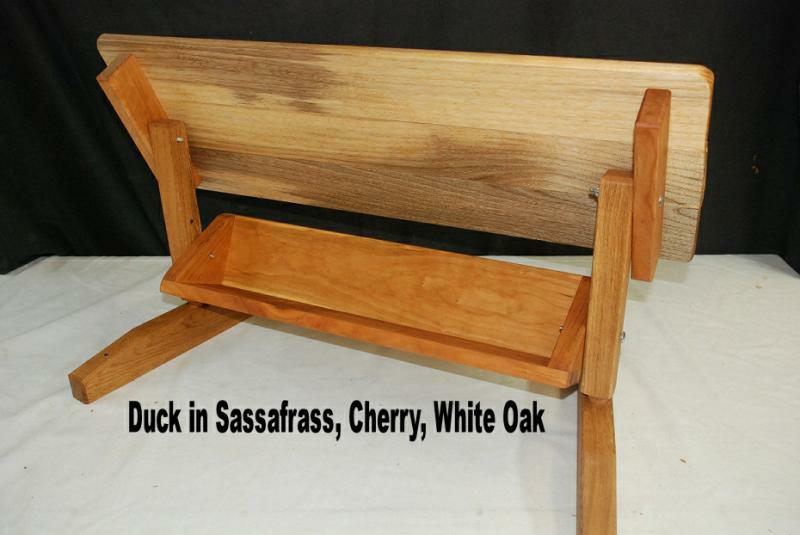 Shown here in Cherry, Sassafras and White Oak. is what to expect from all Hurley Byrd feeders. We are very low in stock right now. More to arrive shortly. 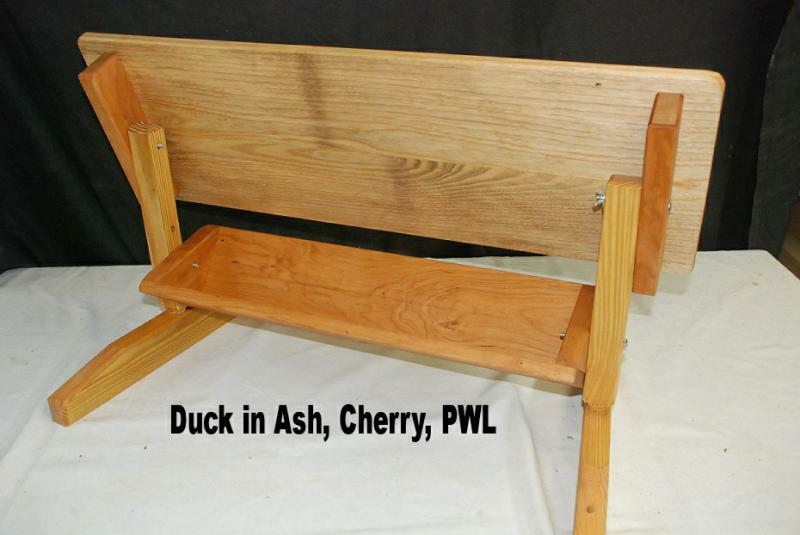 Click the photos below to see examples of various lumbers you have to choose from. If the cart does not allow you to add a feeder or only allows a specific number of any one type, it is because we are sold out or limited in stock quantity. Order Today, Your Critters will THANK YOU!